This week Strands of Thought is excited to host Mea from Magical Mea. It’s lovely to have you with us, Mea. Tell us a little about yourself. Hi, my name is Mea. I’m the little sister of Matthew. I have magic -- but don’t tell anyone – it’s a secret! I like to hide things with my magic. Later when I find stuff, everyone is so happy. Then I get lots of praise, ‘cuz I’m such a good finder! Well, that sounds fun, Mea, but I sense sometimes it isn’t. Does it cause problems sometimes? The problem I have is that I don’t want to do what Matt and Grandma Nonie tell me to do. Matt wants to boss me around and I’m tired of it. I like to hide things and then find them. I like to have fun and play tricks. But they want me to listen to them. They want me to be just like Matt, but I need to be me, not him. I am the youngest of three girls, so I do understand. Have you learned anything while trying to resolve your problem? Well, I don’t want to give away the story, but you know everyone can learn things from their older sister or brother. Especially when he’s been there, too. At least Matt doesn’t say ‘I told you so’ at the end! Let’s learn about you. What is your strongest personality trait? I have my own ideas. They say I’m a strong personality – like I’m stubborn. I don’t like to do what they tell me. So you see it’s hard for my brother Matt and Grandma Nonie – even our friend Lily – to tell me what to do. Is there anything about you that people are always giving you a hard time about? Well, Matt and Grandma Nonie are always telling me I shouldn’t hide things from people – that it’s not nice. I know, but it’s really fun to find things. Everyone tells me what a good finder I am and I like that. Matt and Grandma Nonie always want me to help people, like he did when he had magic. I got really tired of hearing all that stuff about doing good. It doesn’t sound like as much fun as I have hiding and finding things. That’s why I ran off to do things my own way – without them telling me do this, or do that. I’d like to see little kids not be bossed around by their big brothers and sisters. Just because they’re older, do they know everything? They need to treat their younger sisters and brothers like they want to be treated. Like just be nicer, you know. Thank you, Mea, for visiting Building Character! Best of luck to you resolving your problem. It sounds like the kind of thing you will have to work on a little at a time, but in the end I’m sure everyone will appreciate your hard work. Penelope Anne Cole writes and reviews children's books. Previously, she held various positions in Human Resources in management and training, and Teaching at the elementary, middle, and high school levels. One special joy is reading to children to encourage them to read on their own and love literature. Penelope lives in Santa Clara, California, with her family and their rescued cats and dogs. She enjoys walking dogs, reading, writing, gardening, church activities, singing in choir, and spending time with family and friends. Magical Matthew is her first published children's book. It celebrates the magic of childhood and the milestone of attaining 'double digits.' Magical Matthew has won the 2013 Book of the Year Award from Creative Child Awards Program in the Positive Learning Behaviors for Kids Category! The second in the Magical series, Magical Mea, came out in May 2013,from Guardian Angel Publishing. 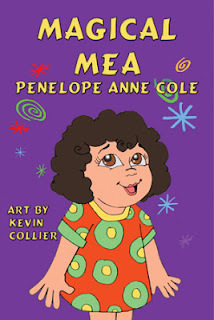 A third book, Magical Mea Goes to School, and Magical M and M, are being illustrated. Penelope has a B.A. in Liberal Arts, with an English Literature major; an M.A. in Education, and a Multiple Subject Teaching Credential. 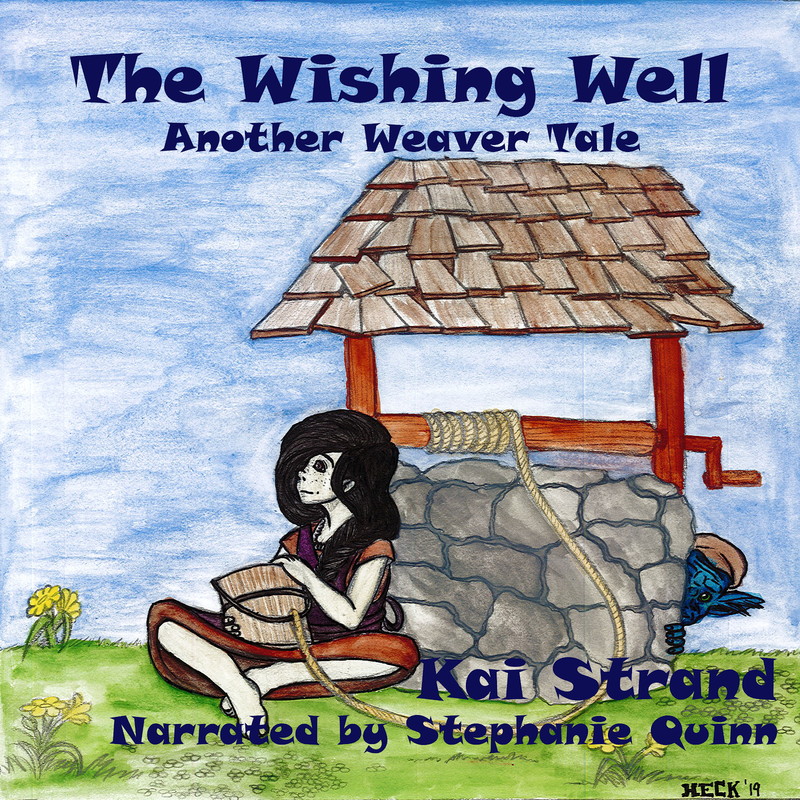 She is a member of the Society of Children's Book Writers and Illustrators. She is also a Certified Phono-Graphix Reading Therapist from "Read America." She posts her book reviews on Amazon and on her blog: http://penelopeannecole.blogspot.com. Nicely done, Penelope and Kai---the story behind the story. Sounds a lot like our granddaughter Emery. She's three "and and a half", thank you very much, and she's not to be outdone by her seven year old sister. A very cute interview kai! Thank you, Susan. I love character interviews. What a fun interview with the Mea character from "Magical Mia." Congrats on the book's great success, Penny. And you too, Kai, for the wonderful reviews on "Beware of the White." Great going ladies. Aw, thanks, Margot! It's always so lovely to have you visit. Thanks for the kind words! As a teacher I can't wait to see how Magical Mea does in school. Thanks for stopping in, Janet. Thank you, dear Angels, for your kind comments and ever-present support! Thanks to Kai for this opportunity to share "mischievous Mea" with you! Blessings to you all. Nice to have you stop in Nicole! What a darling interview. I love this type and this one is done so well. Good luck, Penny, and thanks, Kai! Kids and pets always steal the show ;) Thanks for stopping by, Nancy. What a great idea to interview book characters! Loved this post. Thanks for reading, Melissa. I think it is so much fun to meet a character before you read their book. Thanks for stopping in to visit with Mea, Margo!